I had to go in for a minor procedure yesterday. I’m at home recovering and all went well. A few years ago, I was snowboarding in Whistler and I tore my abdominal wall. I didn’t feel anything at the time and it wasn’t until a couple of days later that I noticed a bump around my navel—I basically became an outy when I used to be an inny. I had no idea what it was, but fortunately my wife is an M.D. and she immediately said “that looks like an umbilical hernia.” I hadn’t heard of it before, but it’s quite common. The procedure is so minor that I prefer not to use the term umbilical hernia. It just makes it sound a lot worse. Most people associate the word “hernia” with inguinal hernias and those are much worse. Many people have congenital umbilical hernias and might never have them repaired. In fact, when I originally had my surgical consult, the surgeon recommended a wait and see approach. Even with Jujitsu and Water Polo, there was a chance that I wouldn’t have to be opened up, and that suited me just fine. Unfortunately, the hole was getting larger and yesterday I went in to get stitched up. I have only had surgery once before and that was on a finger, so other than getting sick from the general anesthetic, I didn’t have to deal with much discomfort. This time around I only needed local anesthetic and obviously, that meant I was conscious during the procedure. It wasn’t fun feeling the numbed sensations of the surgeons cutting, clamping and sewing up my insides, but I know some people who have had much more involved surgeries lately, so I really can’t complain about half an hour of discomfort and then a few sore days. I’ll be back at Jujitsu, running and in the pool in a few weeks. Thank you to the organizers of SPS DC for an impressive SharePoint Saturday gathering this weekend. 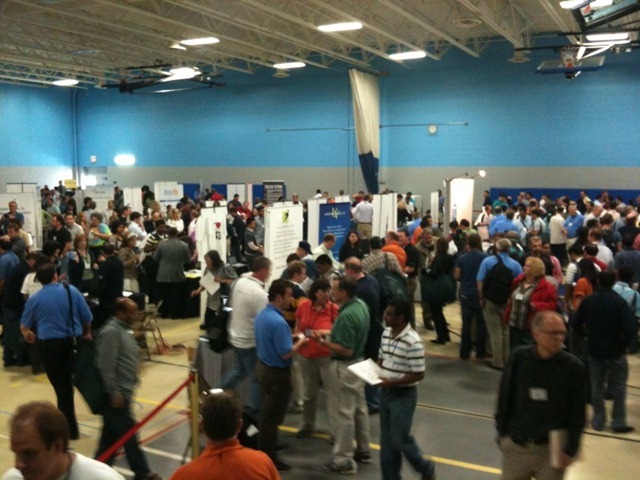 I hear the final count was 929 people—including 90 speakers who presented over 100 sessions. 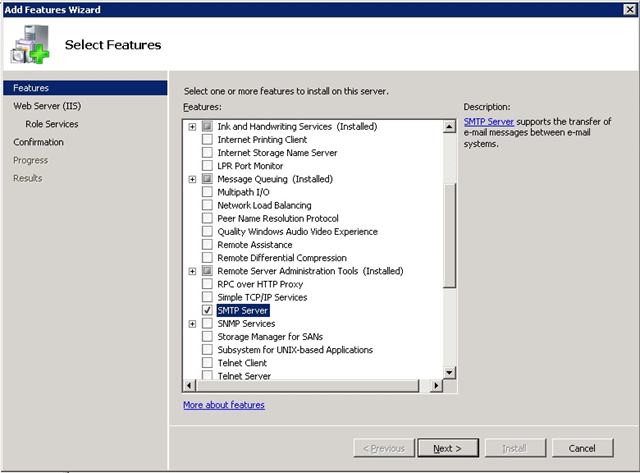 I co-presented a session on SharePoint 2010 migration and storage optimization. Unfortunately, I didn’t manage to get a video of @meetdux rapping during the keynote—hopefully, someone will post it to YouTube. It was along the same lines as the SharePoint is Nice Nice Baby BPC09 Remix, except this one was to the tune of Empire State of Mind. Metalogix was a platinum sponsor at the event, so obviously we had a booth and were talking to lots of people about how they can use Metalogix software to upgrade to SharePoint 2010, migrate content from other systems to SharePoint 2010, improve SharePoint performance with StoragePoint, archive SharePoint and many other topics. However, after realizing that I didn’t have the time to create a template for the blog, I have to accept that I simply don’t have the time to do a good job on two blogs. For this reason, I’ve moved the posts over to this blog. The goal for this post is to provide links to the most interesting things that have been done in the SharePoint community. Please send your nominations to @cawood on Twitter. 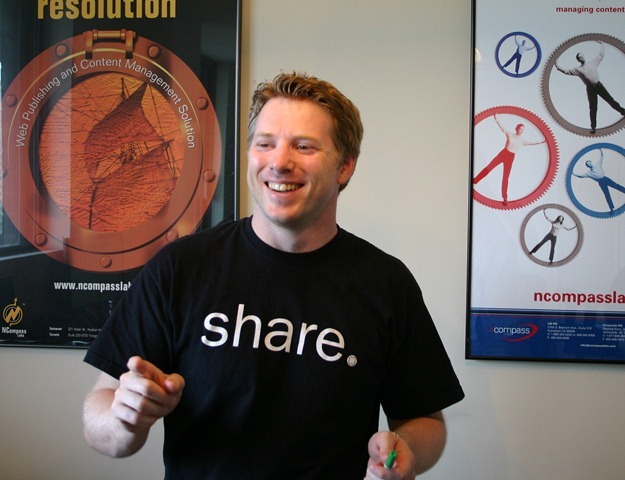 SharePoint Reviews posted an article about SharePint. Here are some SharePint logos. Note: I think this was created by Microsoft Russia, but someone can correct me if that’s not true. 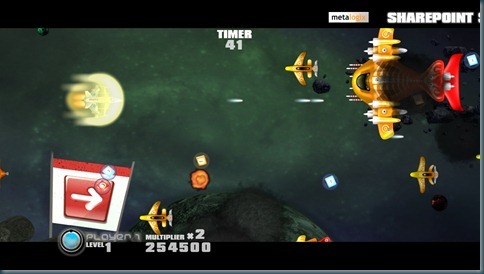 SharePoint Shooters custom Xbox 360 video game from Metalogix. 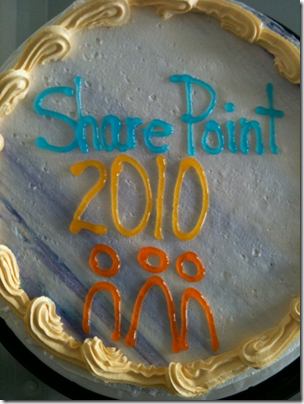 Happy Birthday Microsoft SharePoint 2010! For those of us who work in the content management space, today was a very important day. 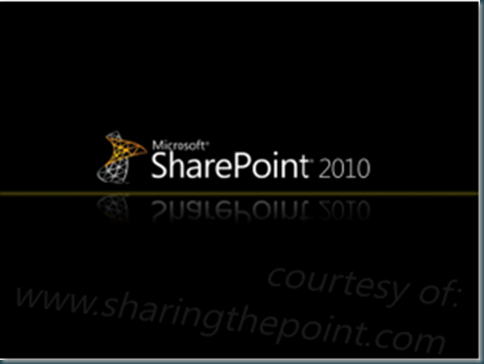 Microsoft has officially launched Microsoft SharePoint 2010. 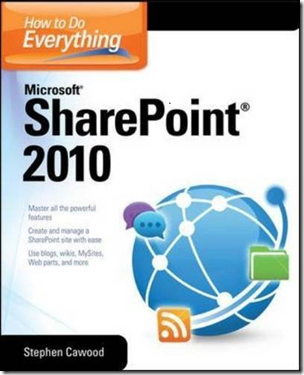 SharePoint 2010 is clearly going to be the largest release of SharePoint ever—the largest release of ANY information management platform ever. 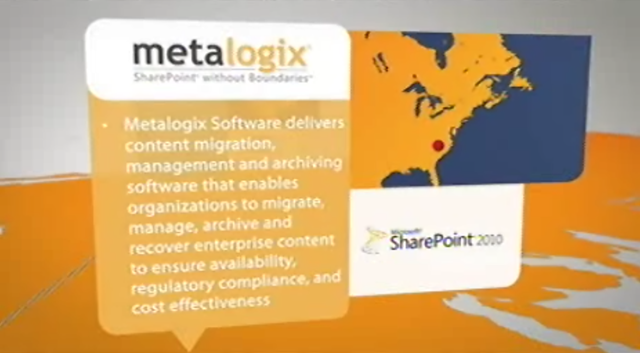 At Metalogix, we were also thrilled to be included in Microsoft’s keynote presentation as one of the key SharePoint Gold Certified Partners. Here is the slide that Stephen Elop, President, Microsoft Business Division used in his presentation. I have posted another video demo on the Metalogix blog. 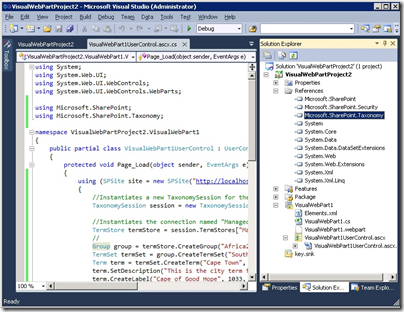 The SharePoint 2010 Taxonomy Web Part Development Screencast demonstrates how to create a Microsoft SharePoint 2010 Visual Web Part that uses the new Taxonomy API. 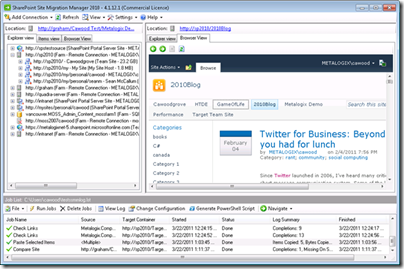 The Taxonomy API is one of the Enterprise Metadata Management features provided in SharePoint 2010. 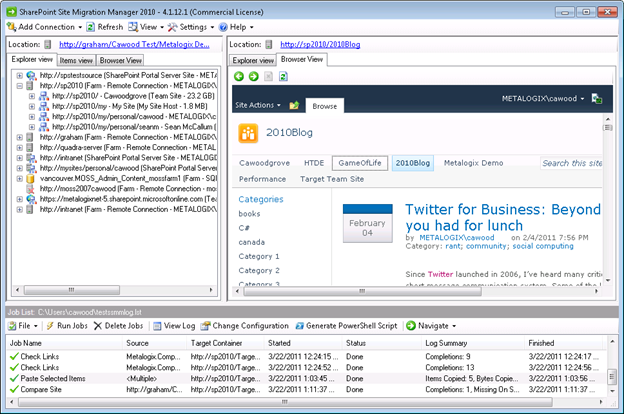 You can get the code used in this example in my blog series on SharePoint 2010 Enterprise Metadata Management (a.k.a. Taxonomy). 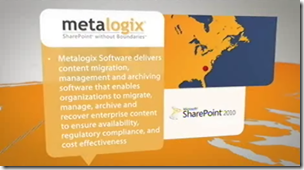 Metalogix is a Platinum Sponsor of Microsoft’s Official SharePoint 2010 Launch Tour. 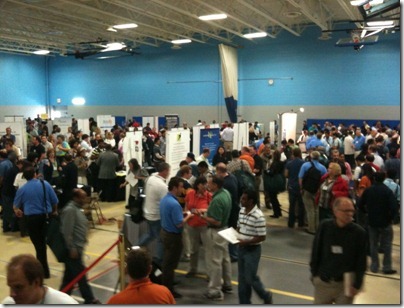 Come see Metalogix product in action and speak with a Metalogix representative at one of these SharePoint 2010 Launch Tour Events. Curt Cherewayko from Business in Vancouver recently interviewed me about my book, Pragmatic Augmented Reality. 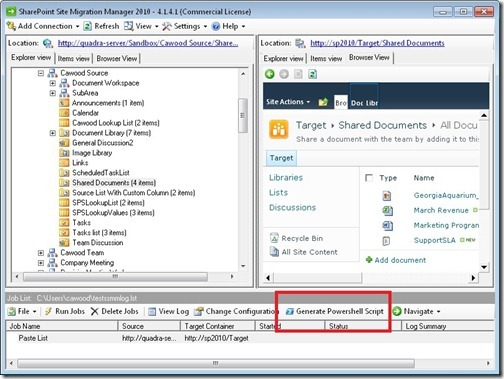 This screencast shows a quick demo of how anyone can easily use Metalogix SharePoint Site Migration Manager (SSMM) 2010 to generate PowerShell scripts for upgrading, migrating or managing Microsoft SharePoint. 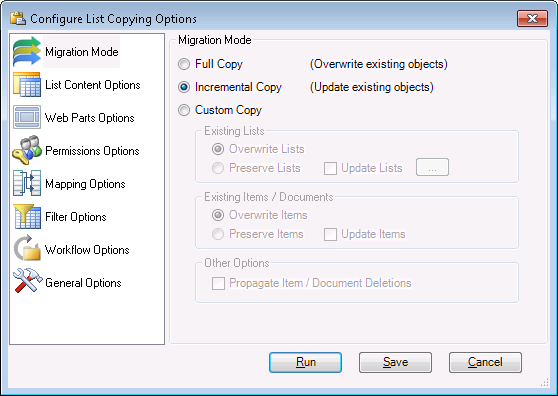 My latest Metalogix blog post, SharePoint Site Migration Manager 2010 UI, is live on the Metalogix blog. 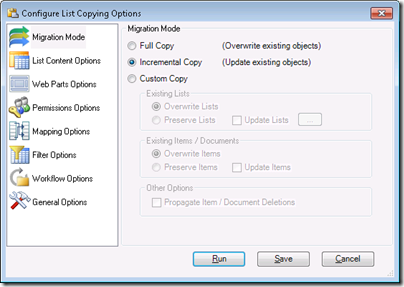 In case you find that your SharePoint server does not offer you the ability to add alerts (e.g., from the ribbon), here are the steps to enable alerts in SharePoint 2010. The setup isn’t very hard, but it does require a couple of changes. 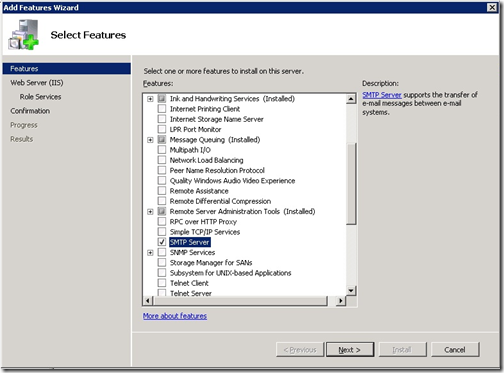 In order to complete this setup, you need both administrative access to Windows and to SharePoint. 1. 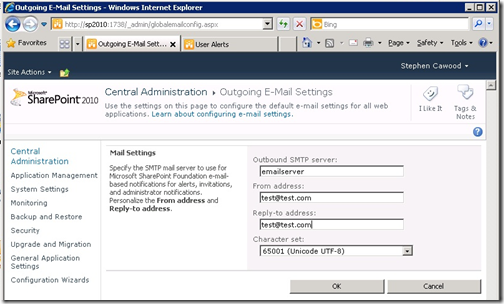 Install the SMTP feature on the SharePoint server. Once you have the server ready, you can set up Alerts from Central Administration. 2. 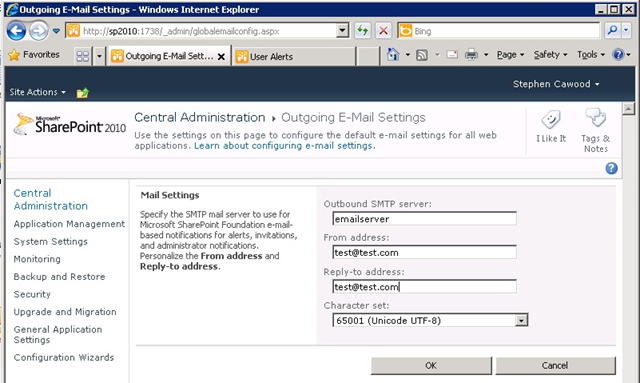 Go to Central Administration > System Settings > Configure outgoing e-mail settings and add in the appropriate details. 3. 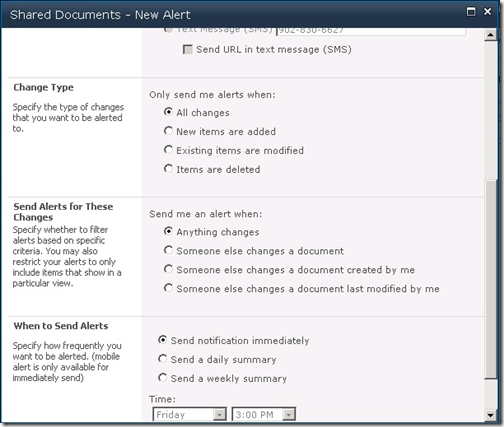 After you have set things up, try using the ribbon to add an alert in a document library. 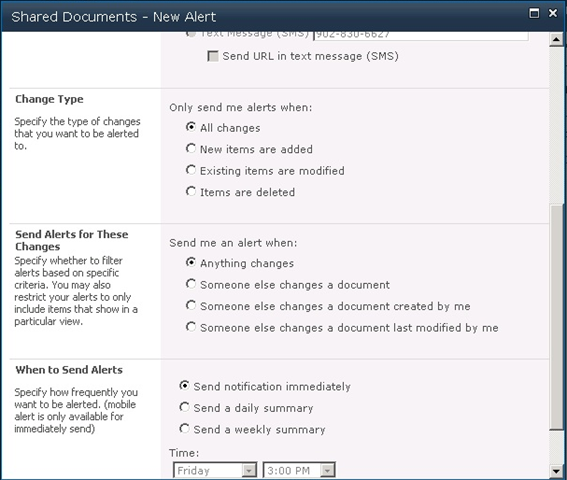 After adding the alert, you’ll receive e-mail messages notifying you when your criteria have been met.